Wendy Brooks is passionate about social justice, equity and human rights. Her career has spanned law, music (professional violist), marketing, business development and fundraising for the tertiary education, environment and conservation, arts, health and medical research and social welfare sectors. Wendy’s voluntary leadership positions include: Co-Chair, Human Rights Watch (HRW) Australia; Board Chair of InLife Independent Living Ltd; Chair and Trustee of the National Trust of Australia Victoria Foundation; Trustee of National Trust of Australia Victoria; Member of the Council of MiVote; Board Director of Kokoda Track Foundation and Flying Arts Alliance. 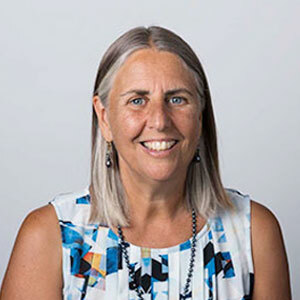 Wendy serves on the HRW International Disability Rights Advisory Council and is a founding member of the Australian Charity Law Association and the Melbourne Women’s Fund. Through Wendy Brooks & Partners, Wendy provides strategic fundraising services and a range of administrative services to the community sector.